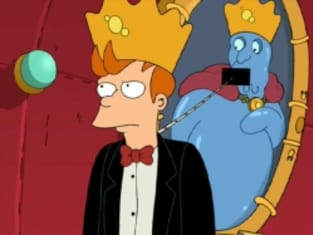 Futurama Season 1 Episode 7: "My Three Suns"
Bender: Oh, I'm sorry, Fry. She's dead. Fry: All Leela ever wanted to do was help me, but I was too proud and stupid to accept it. I wish I had died instead of her.